Do you remember that old candle experiment involving a lit candle in a jar? You know, the one where you place a lit candle in a bowl of water, then place a jar over the candle, and rather quickly, the candle extinguishes? If you were like me, you probably learned that the candle goes out because all of the oxygen gets used up (oxygen is a requirement for combustion). However, according to David Isaac Rudel in his multi-volume series Science Myths Unmasked, this is one of the many science demonstrations that are wholly misinterpreted. Unfortunately, the science textbooks used by thousands of schools across the US are chock-full of what Rudel calls “pseudo-explanations” for many complicated scientific phenomena. Instead of presenting clear explanations, including the establishment of a basic scientific foundation, many science textbooks present certain concepts using shortcuts, with the assumption that these so-called shortcuts make it easier for kids to understand science. Candles in closed containers do not go out because they use up all the oxygen. Rather, the hot carbon dioxide (and to a lesser extent water vapor) given off in combustion accumulates at the top, pushing down other gases (most importantly, oxygen), and eventually stifles the flame. If the jar’s rim is submerged in water, the liquid rises not because water is replacing the oxygen used up in combustion. Rather, the air inside the jar cools as the flame dies down and hot gases offload heat to the glass container. As the air cools, it applies less pressure to the water than it did when the jar was first put over the candle. The water rises as a result of the decreasing pressure from the air against it. In the Science Myths Unmasked series, a great number scientific factoids and processes that are often misrepresented in the classroom are correctly explained, and in great detail. In addition to the candle experiment described above, Rudel tackles simple machines, circuits, phase change, and waves, just to name a few. However, this book is not for those without at least some background in science, as it does get technical. I would, though, recommend that these books find a way onto the shelves of science educators, as it seems they would benefit the most from the lessons and demonstrations covered. It is also good for people who, like me, have a scientific background and wish to properly explain scientific concepts to their kids, as I am sure those questions are bound to come up. 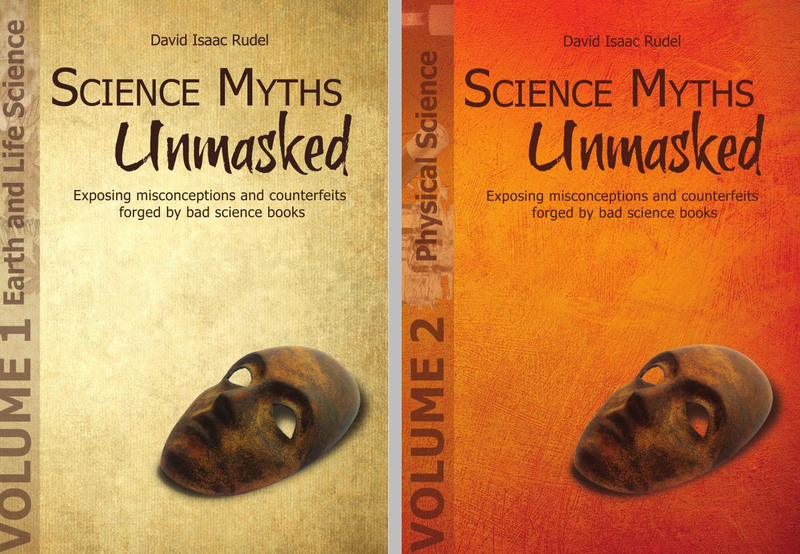 For more on the Science Myths Unmasked series, go here. I showed my kids the candle-in-a-jar not too long ago and as I told them the lack of oxygen explaination, it sounded incomplete to me. These sound like some fun books which could futher encourage experimentation.